Mujjo’s stab at the poorly supported touchscreen glove space is the only pair of leather touchscreen gloves worth getting excited about or owning. 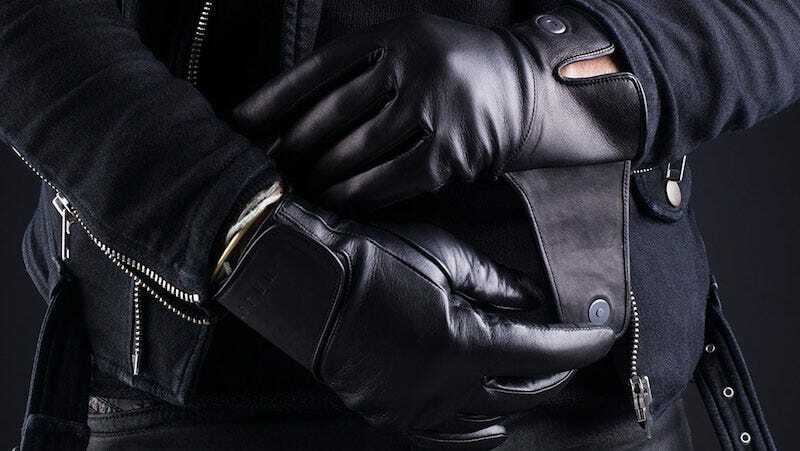 The gloves are wind and waterproof Ethiopian lambskin, with a magnetic clasp that will make you happy every time you snap it. Of course, you don’t really need the clasp because the gloves actually fit. No gross-looking fingertip dots here either. I immediately got my hands on their Single Layered Touchscreen Gloves back when they were first released, and while they were certainly the best I had used at the time, they weren’t easy to snap, and they weren’t leather. The Leather Touchscreen Gloves fix everything this product category has lacked up to this point, and are an easy recommendation for pretty much anyone. They’re also surprisingly warm for how thin they are.